A blue / grey salt and pepper tweed from Magee. This slim fit suit is pure new wool Donegal soft-weave cloth. A superb suit to wear, inside the lining is finished in Magee's blue wolfhound and bronze lining with contrasting pocket trim. Wear this the Leinster suit with brown shoes to bring out the highlight wood effect Heritage buttons on the jacket and waistcoat. It's a limited edition and not available for group bookings. 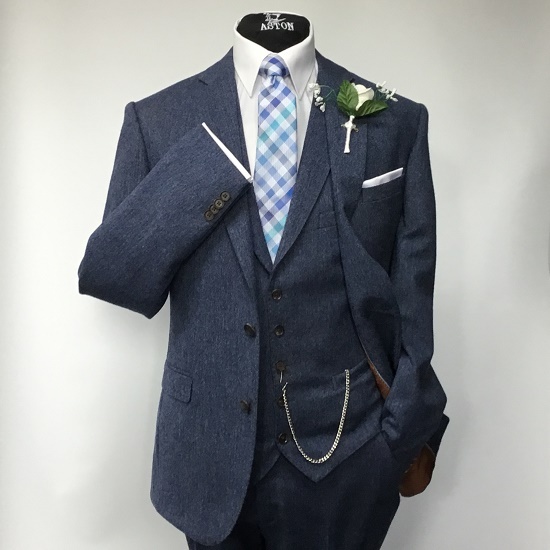 Ideal as a Groom only suit, we recommend the Carter suit your groomsmen. 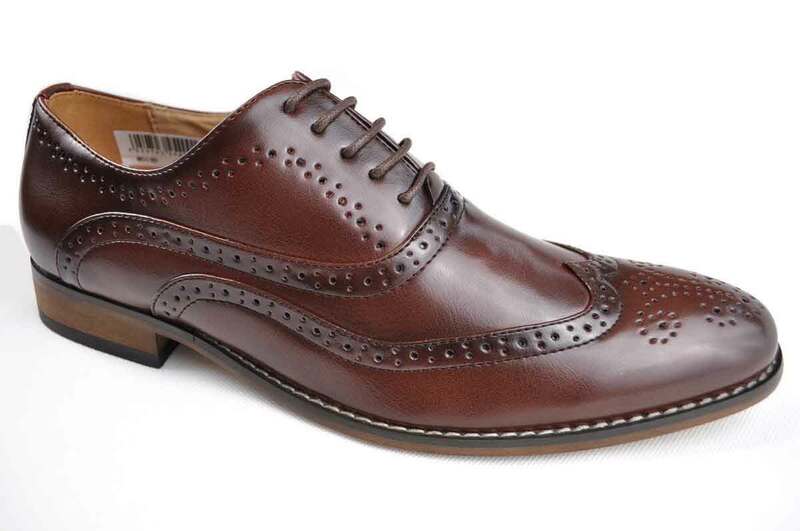 A comfortable yet stylish brogue.